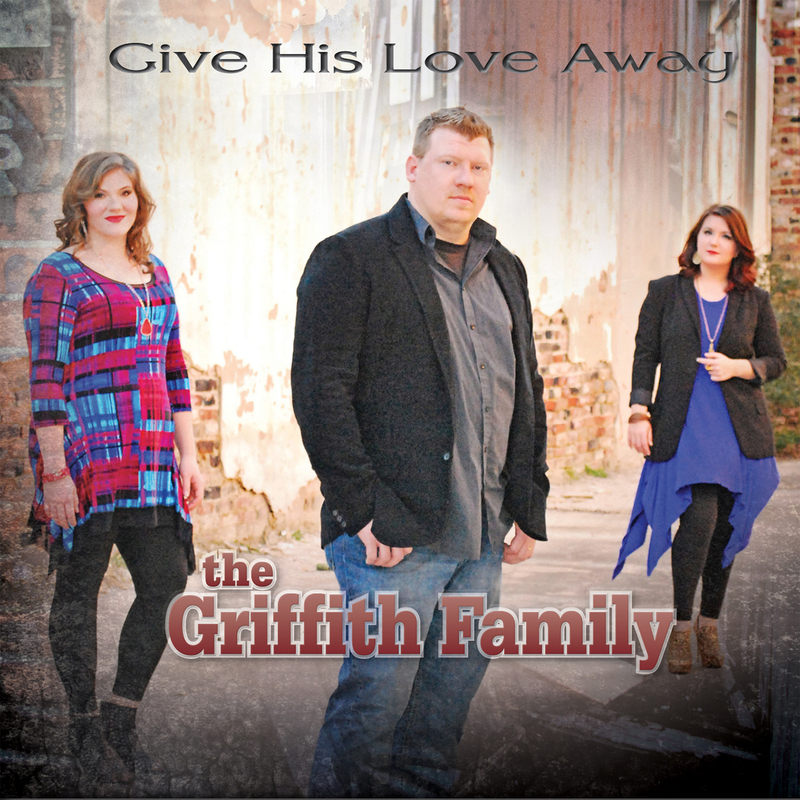 Information: March 2016 Southern Gospel Radio release from The Griffith Family. The Griffith Family's self-titled debut project released in 2015 on Mansion through Sony RED with a debut Singing News Top 80 Charting song. "Give His Love Away" is the title cut to their brand new album releasing by Mansion Entertainment through Sony RED on March 25, 2016 and was written by popular songwriter & producer Donna King. The Griffith Family has been appearing during the past year at Dollywood, The National Quartet Convention and on a special 2016 tour with Adam Crabb.